Mysuru: Will the venue of the counting of votes for all the 11 Assembly Constituencies in Mysuru District be changed this year due to security reasons? The Electoral Officers are mulling this proposition and this morning, they visited two different venues to inspect the facilities there and submit a report to the Election Commission of India (ECI). Traditionally, the JSS College on Ooty Road and the Maharani’s College on JLB Road are used to count votes. They are used as demustering and counting centres apart from using them as strong rooms to store the Electronic Voting Machines (EVMs). This election, however, the demustering, counting and strong room centres are likely to be changed to the newly-constructed Maharani’s Commerce and Management College at Paduvarahalli on Hunsur Road and the National Institute of Engineering (NIE) on Manandawadi Road. The change comes in the wake of high-profile and high-stake battles that will be witnessed during this election. Today morning, Deputy Commissioner K.B. 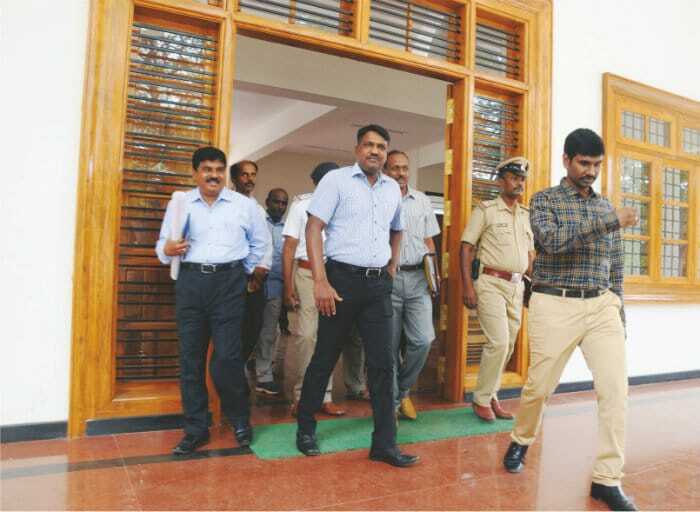 Sivakumar, who is also the District Electoral Officer and City Police Commissioner Dr. A. Subrahmanyeswara Rao, accompanied by other officials, visited the Maharani’s College and the NIE to inspect the facilities available there. 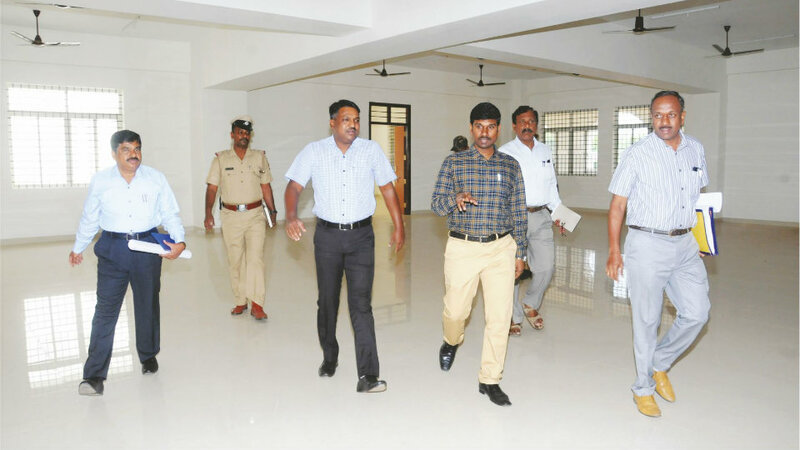 At the Maharani’s College that was recently inaugurated by Chief Minister Siddharamaiah, officers inspected the facilities that are available on the first and second floor. Among the sections that were discussed included, counting section, strong room section, barricading, crowd control, placement of mikes for announcements and the deployment of security forces. Sources told Star of Mysore that votes polled for four constituencies are likely to be counted at the Maharani’s College and counting for the rest of the constituencies will be done at NIE. Engineers, who built the Maharani’s Commerce College, were summoned and officers discussed the structure of the building and the facilities available. After visiting the Maharani’s Commerce College, the officers proceeded towards the NIE. The District Electoral Officer will have to send a report to the Election Commission of India on the change of counting centres and how they are better from the centres that were used earlier. The City Police Commissioner will have to send a report to the State Home Ministry. Sources said that the Election Commission will take a final call on the change of venue and is expected to finalise the venues by tomorrow. The counting centres will be shown to the representatives of political parties and candidates who will be present at the counting centres so that there will be no objection from them. Once the counting centres are finalised, they will be secured by the Police with regular visits by dog squads and anti-sabotaging teams. The jurisdictional Assistant Commissioner of Police will have the responsibility of the security measures, sources added. Additional Deputy Commissioner and District Electoral Officer T. Yogesh, Zilla Panchayat CEO P. Shivashankar, Assistant Commissioner Shivegowda, MUDA Superintending Engineer D.K. Suresh Babu and MUDA Executive Engineer T. Prabhakar accompanied the DC.